Charles Dickens has penned some of the most well-known stories of all time. His characters have really become a part of our everyday lives. And now they can be part of your gaming nights, too. Scrooge the Board Game, which is up on Kickstarter now, lets you play as one of Dickens' characters and beat Scrooge to his Moment of Truth. No humbug about it. A survival board game for families and fun-loving adults. Can you out-scrooge, Scrooge? There can only be one victor in this fast-paced, nail biting survival adventure. 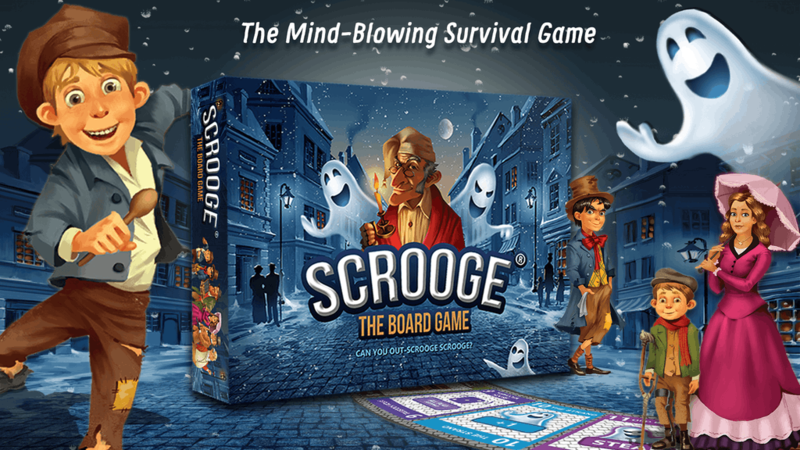 You'll explore 56 uniquely inspired streets and interact with 5 innovative decks of cards that will either help or hinder you in your quest to be the first player to out-scrooge, Scrooge and beat him in his Moment of Truth. The campaign is up and running now. It's about 1/4 of the way to its goal with still 28 days left to go.